Car accidents can happen anywhere, even on less crowded and uncongested roads. Some car accidents cause serious injuries, and their impacts can be devastating. As such, all drivers should remember to drive cautiously. On May 23, the Worcester Police Department received information about a hit-and-run accident. The accident involved minor injuries though none appeared to be life-threatening. The incident occurred on the 1 block of Brattle Street around 6 p.m. that evening. 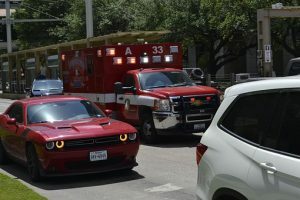 The accident involved two vehicles, one of which fled the scene shortly after the initial impact. The police department and other emergency personnel responded to the scene and administered care to the victim still present at the scene. The victim spoke with police about the accident, and a search is ongoing for the other driver and vehicle involved. Vehicle accidents can cause serious injury to victims. It is vital to your own safety as well as the safety of others around you that you drive attentively and follow all traffic laws. When drivers choose to act negligently, they are putting other people as well as themselves at risk. Victims who are injured in car accidents deserve to seek compensation and assistance for their injuries so they can get back to their lives. Serious car accidents can have serious and long-lasting impacts on a victims life. At the Law Offices of Jeffrey S. Glassman, we see the detrimental consequences of car accidents daily. As concerned members of our community, we urge all drivers on the roads to remain attentive and to not drive negligently. We also know that accidents can happen to even attentive drivers. When they do, we are here to help victims get the help needed to begin their recovery.